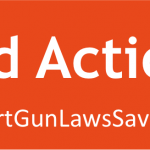 FAIRFIELD, CT – Jeremy Stein, Executive Director of CT Against Gun Violence, Inc. released the following statement today in reaction to the Public Safety Committee’s refusal to vote on Governor Malloy’s “Rate of Fire Enhancements” bill, S.B. 18. The Las Vegas shooter used bump stocks to fire more than 1,100 rounds in just 10 minutes, killing 58 and injuring more than 500 concertgoers in the worst mass shooting in U.S. history. Devices that increase the rate of fire such as bump stocks and trigger cranks have been responsible for at least 2 mass shootings in the U.S. According to an October, 2017 poll by Quinnipiac University, three-quarters of voters nationwide support a ban on bump stocks, including 62% of Republicans, 82% of Democrats, 76% of Independents, and 67% of households with guns.